Mason Lively is an artist that many, if not most, people in the UK will have never heard of. There’s no shame in this, he’s a 20-year old from Texas making his debut with the album Stronger Ties but could be a big name in Texas and beyond in the coming years. Having written songs since the age of 15, there is no doubt that Lively has worked on his chops for a long time and this album was certainly a nice surprise in my inbox. He’s certainly one to watch in 2018! The album kicks off with Heavy Toll, a song which builds from a rootsy and bluesy acoustic riff into a full-blown footstomper. There’s no doubt that Mason Lively has a voice just dripping with soul. It’s a mix of Southern blues and rock that really sets the stall out for what we can expect from the artist. If anything, it’s comparable to someone like A Thousand Horses, however you can feel a huge variety of influences in this song. Things get a little more ‘country’ on Early Grave. The song kicks off with a banjo and fiddle intro which Mason cuts through with his soulful vocals. The song is all about his woman leaving and how it is going to drive him to an early grave. Musically it’s a really great song with the fiddle almost trading phrases with Mason. It’s got the typically country theme of ‘she’s left me’ but manages to give it that bluesy edge. Worry About Nothing slows things down slightly and also allows Mason to show off some of his harmonica work. For a 20-year old the lyrics are incredibly mature as Lively sings about wanting to settle down, stop drinking and living his life for everyone else’s needs. It’s a song of faith that could be written by a writer many years older than him. Next up is Hard To Let Go. This song is based around the acoustic guitar and Mason’s vocal. He laments a breakup and how difficult it has been to move on. There are hints of slide guitar, the most heart-wrenching of instruments, that weave throughout the song and add to the atmosphere. Once again, it’s hard to believe that Mason Lively is only 20 years old, such is the feeling and emotion in this song. He’s clearly experienced a lot in his time! Things start to get a little more funky on Roleplay. This is a fun bedroom-based song where Lively sings “we don’t have to be ourselves to love each other tonight”. It’s a very light song that gives the perfect break from the deeply personal and emotional songs that came before it. Lively also shows that he can inject a little bit of humour into the song with lines like “you can be my little Princess Leia, I’ll be your Han Solo”! He also blasts out a superb harmonica solo! Right Back To You comes next and we are met with a song that sounds a lot different to anything that came before it. There’s a slight feel of early-00’s pop/rock to this one, almost reminiscent of Goo Goo Dolls, which is combined with the roots instrumentation of the fiddle. The song is about going back to someone and making things right. It’s definitely an upbeat and optimistic song. Track seven is Ballad of the Broken Heart. It’s an uptempo rocker with a thumping rhythm and a seriously catchy chorus. The song has great melody and some fantastic guitar parts which really lend themselves well to a blues-esque feel. The guitar solo really helps this relentless song, it’s a song that is no doubt going to be a cracker during his live shows! Lonely Comes Back Around offers another great example of Mason Lively’s ability to craft a catchy and uptempo song. Lyrically, it’s quite similar to some of the songs before in that he’s singing about relationships not working out and keeping himself at arms reach from others. There is a brilliant harmonica solo in there though! The penultimate song on the album is Worth The Fall, this is another opportunity for Lively to slow things down a little and get reflective. It’s a clever song that uses his home state of Texas tradition of bull riding and rodeo to sing about how he has to get out on the road and leave his family behind to try and make his dreams come true. Again, it’s a wonderfully deep song for such a young artist. “I ain’t seeing another love fall through, another picture off the wall but if I don’t see these dreams come true, it won’t be worth the fall” sums up the torn feelings of the narrator in this tune. The album is finished off with Angel Wings, a classic Merle Haggard-esque country song. Lively’s vocal seems a little like Sturgill Simpson in this song as he sings about his love for his partner and how perfect she is. After a collection of songs that go through the down side of relationships this is a fantastic country love song that ends things on a positive note. 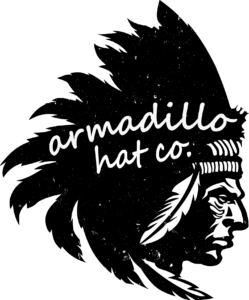 This is a very impressive debut from the young Texan. It feels somewhat condescending to write about how surprising it is that a 20-year old can produce such personal and deeply reflective songs but, considering some of the pick-up truck and beer related country flooding the airwaves, it really is a pleasant surprise. Mason Lively manages to throw a whole host of genres into his music from traditional country to blues to pop-rock. His voice is packed with soul and the instrumentation on the record keeps things fresh and exciting throughout. 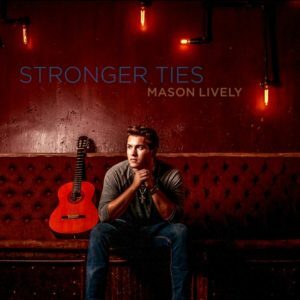 It feels like Mason Lively is an artist worth keeping and eye on, if he keeps maturing at this rate he could become a great songwriter and performer. He’s definitely one to watch! The Long Road Festival: Line-up details announced as Baylen Leonard brings country music to Leicestershire!